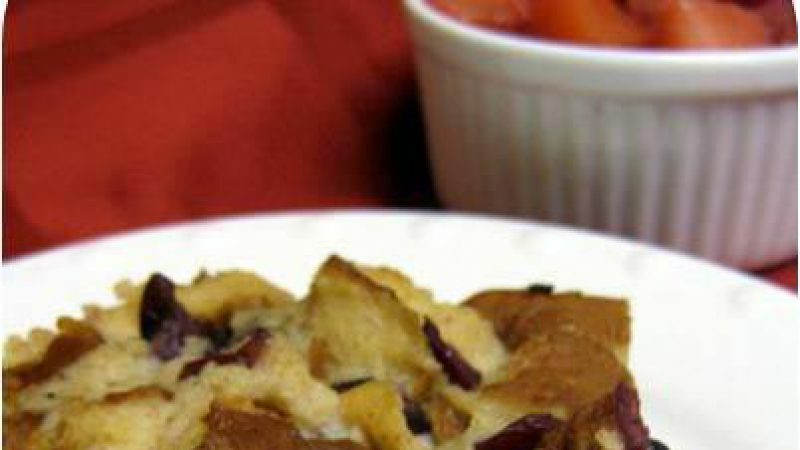 This is a unique bread pudding recipe perfect for this Hanukkah and Holiday season. Made with Challah bread this spin on traditional bread pudding is sure to impress! Combine the first 9 ingredients in a large bowl. Add Challah bread cubes, tossing to coat. Let Challah mixture stand for 30 minutes, stirring occasionally. Coat an 11x7 in baking dish with cooking spray. Carefully, pour mixture into prepared baking dish and sprinkle with sugar. Bake at 325 degrees Fahrenheit for 55 minutes or until pudding is set. Slice into pieces and plate dusting with powdered sugar.